We have Flashpoint #3 and Fear Itself #4, which has a nice continuity to it, and speaking of continuity we have one comic playing with it in an alternate universe in neat ways, and another that references a famous element of Tony Stark's character in one of the few things that weren't bad in the comic. I think you can already tell which series I like more. Flashpoint has been good fun, but often suffered a bit from a case of exposition-itis. I suppose when you have a whole alternate-universe and only 5 issues in the main series to explore it you have to do a lot of explaining. 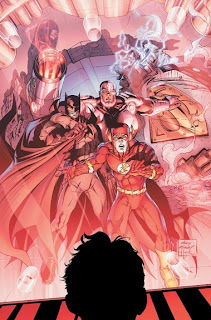 Therefore, it was nice that while Flashpoint #3 still had plenty of plot-explaining chatter it also spent time breaking out from that for some good ol' action as the crew rescues a man that the government has kept locked-up since he crash-landed as a baby in a space-ship years ago. Yup, we finally meet this word's "Superman" and he is one pitiful fellow. 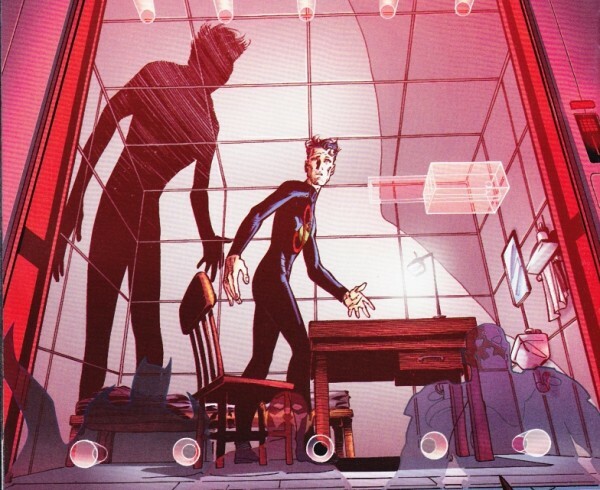 Kept locked away for years from the sun, he is skinny, pale, and pretty depressed. He broke his long-time sobriety! Oh my God! 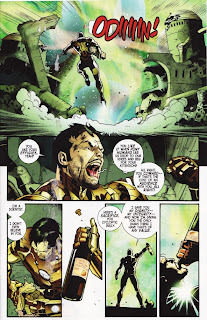 I'm actually interested to see that followed-up on in Fear Itself #5 and...oh wait, the back of the comic says we need to read Invincible Iron Man to see the fallout of Tony taking a drink and talking with Odin. Great. As for the rest of this comic? 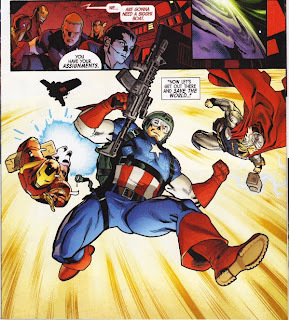 Things get smashed and blown up, people cried about how Bucky was dead, and Steve Rogers put on the Captain America outfit again just in time for the upcoming movie release July 22nd (what a coincidence!) so they could all go off around the world and try and take on "The Serpent". 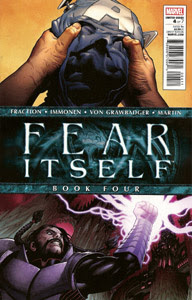 Yeah, they kind of explained what it is, this evil thing that predates even Thor's Dad, Odin, and which wants to plunge the world into chaos or something...I don't know, this is all pretty much mindless pap to me by this point and you really shouldn't even bother reading Fear Itself #4 as it just isn't a good comic. The only reason you could even want to pick it up is the great art and that scene with Tony Stark that won't even be continued in this series it seems. 2 out of 5 stars (barely).